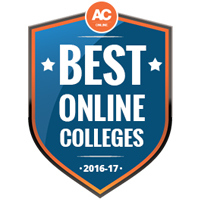 Webster University has been named one of the nation’s Best Online Colleges for 2016 by AffordableCollegesOnline.org (ACO), a leader in higher education information, resources and rankings. The school earned the 30th position on the new list, which ACO generated by analyzing cost and quality metrics of thousands of U.S. colleges with online degree programs. An in-depth look at the Best Online Colleges for 2016 can be seen here.